Rapid STD Testing and myLAB Box are two respectable STD testing services that we gladly recommend. To help our readers better understand the differences between them and choose the one that is a step ahead of its competitor, we have created this objective Rapid STD Testing VS myLAB Box comparison that clearly shows which one is a slightly better choice. MyLAB Box was launched in 2013, with corporate headquarters in Los Angeles, California. The company prides itself on being among the first STD testing providers to offer at-home testing. MyLAB Box will only collect the information you provide for the purposes of optimizing its services. It will share your data with its third-party service providers, as a part of business transfers and promotional offers, and to protect the company. SSL encryption is used to protect your communication with the company's website. Keep in mind, however, that MyLAB Box can use your info to profit from ad revenue. I would give ZERO star !. I paid for HPV test and they DID NOT do the HPV test. I called and there was NO live operator or staff answering my call! I got a voice mail and NO ONE returned the call. Quick and convenient but I have to admit I didn't get that professional vibe from mylab. Great service and results in just 3 days! Not overly satisfied with the service. It took so much time for the kit to reach my address. MyLAB Box is a relatively young company launched in 2013 in Los Angeles, California. It offers FDA-approved solutions in all 50 states and incorporates the true at-home STD testing model. 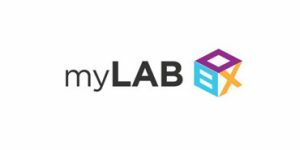 Read our myLAB Box review to learn all about the company and its array of testing solutions and hear our opinion on its service and implemented policies.